Ricky's 2008 season came to a premature conclusion with a broken wrist sustained in a crash with Trent Leverington in the away win at Glasgow but Ricky will be fit and raring to lead the Tigers in 2009 as their new captain. Josh was British Schoolboy Grass Track champion in 2001 (Junior), 2002 & 2003 (Intermediate) and on the speedway tracks he was the British Under 15 champion in both 2004 and 2005. He made his Conference League debut for the Scunthorpe Scorpions in 2005 scoring paid 13 and went on to help them win all manner of silverware in 2006 and 2007. He made his Premier League debut for Rye House at King's Lynn in the Playoff semi-final in 2006, falling twice and failing to score. Josh made 21 appearances for Redcar in 2007 finishing the season with a 7.23 average. Still at Redcar in 2008 but no longer at reserve a poor run saw his confidence dip and his average slipped to 5.36 prompting Sheffield to approach Coventry (his parent club) to sign him on loan for the 2009 season. Josh may start out as one of our reserves but under the guidance of his mentor, and now team manager Eric Boocock, he will be eager to force his way into the body of the team. Paul made his debut for the Prowlers in 2003 and rode in their Trophy matches in 2004 when work and grass track commitments allowed. His apprenticeship as a joiner completed Paul signed on for the Tigers in 2005. In 2006 Paul joined Conference League team Scunthorpe Scorpions as cover for the injured Wayne Carter, going on to win the Conference League Best-Pairs meeting riding with Sheffield team-mate Benji Compton as the Scunthorpe 'B' pairing. Paul then broke a bone in his wrist riding against the Boston Braves causing him to struggle through the Play-off final for the Tigers against King's Lynn. He started the 2007 season in the reserve berth and mounted on new JRM bikes. A torrid weekend in April saw him blow his best engine at Stoke, and his second engine while guesting at Mildenhall the following day, but bounced back scoring paid 11 against Berwick at home and a match winning paid 14 at Shielfield Park using an engine borrowed from Gary Flint! He again contested the Conference League Best-Pairs meeting at Scunthorpe, this time representing Boston alongside Simon Lambert and duly won the title for the second year running. Paul was given a 'last chance' place in the 2008 Tigers team and responded in style with improved performance both home and away as he steadily improved his average and was voted 'Rider of the Year' by the Sheffield track staff for the second year running. He jostled with James Birkinshaw for a full team place and by July he was back in the body of the team seeing the season out riding in the heat leaders No.3 race jacket as the management attempted to juggle dwindling rider resources. Richard started the 2005 campaign as a second-string but in the no.3 race jacket and a string of solid performances both home and away improved Richard's average. He finished the year challenging Ricky for the third heat-leader position. Richard became a victim of the averages trap and was left out of the Tigers plans for 2006 but he stepped up into the Elite league and went on to become the Peterborough Panthers hero as he steered them to the Elite League Championship with a brilliant display in the final against Reading. 2007 saw Richard suffering a foot injury riding in the Garry Stead Grand Prix just after being released by the Panthers but he returned to the track at Premier League level with the Scunthorpe Scorpions in 2008 finishing second in their averages. Ritchie made his track debut for the Prowlers in 2000 before stepping up to the Premier League with Swindon in 2001. After a spell with Peterborough in 2003 he joined Berwick in 2004 becoming the British U21 champion and also helping Mildenhall to a Conference League triple as they took the League, KO Cup and Conference Trophy. He joined Somerset for the 2005 campaign finishing the season with a healthy 6.92 average. With the Rebels unable to accommodate him Ritchie spent 2006 with the Workington Comets upping his average to 7.44 and Somerset ensured he was back with them for 2007. 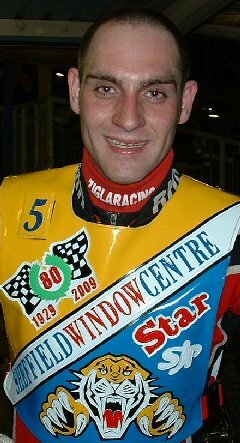 Ritchie was the first rider signed for the Rebels in 2008, finished fourth in the New Year Classic at Newport and then suffered multiple injuries at an indoor meeting in Kiel which ruled him out for virtually the whole season. Ritchie sustained a broken wrist in a crash at Berwick at the end of May and moved to Scunthorpe as replacement for Adam Allott on his return to the saddle in July. Chris made his debut riding for local track Arena Essex on the Isle of Wight in 2001, failing to score. 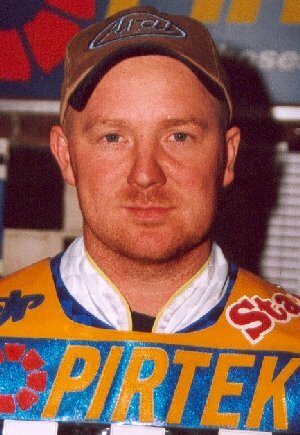 In 2002 he rode in the Conference Trophy for Wimbledon, and League for King's Lynn averaging 7.40 over some 20 meetings. He joined Conference league Oxford for 2003 (7.78) and rode for the Isle of Wight at Premier League level achieving a 3.70 average. His CL average improved to 9.30 in 2004 and he joined Reading at PL level improving his average to 4.25. He was unfairly dropped from the Reading team in 2005 after 8 meetings despite upping his average to 5.29, and joined Somerset. He also made his Elite League debut scoring paid 7 for Oxford against Wolverhampton. Chris was part of the treble winning King's Lynn team in 2006 and doubled up as Reading's No.8 at Elite level. He continued at Saddlebow Road in 2007 finishing the season with a 7.13 average. Another victim of the numbers game Chris joined Reading for the 2008 campaign but struggled with both machine problems and injuries and never came to terms with the Smallmead track. An out and out racer Chris starts 2009 in the Tigers reserve berth, but he'll have his sights set higher. 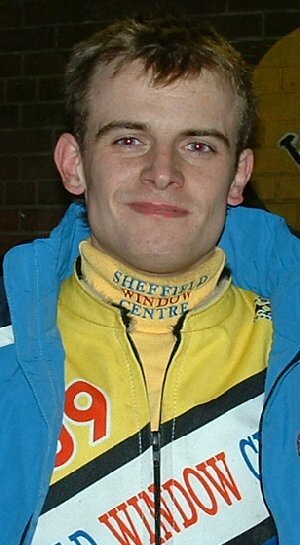 The 2006 season saw Joel put more than a point on his average riding for the Newport Wasps but parent club Sheffield were very keen to include him in their line-up for the 2007 season. Joel put more than 1.5 points on his average despite riding for most of the season in the no.5 heat leaders position and he endeared himself to the home fans with his tenacity as he raced every heat all the way to the chequered flag. Joel started the 2008 season like he was on fire but blew his best engine at Scunthorpe and never recaptured his early form after that. 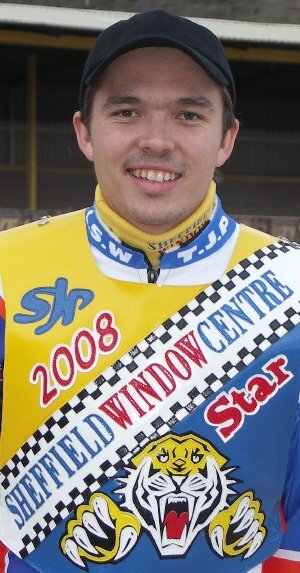 Joel was the Tigers first signing for 2009 shortly before returning home for some winter sunshine. Hugh joined the Tigers in June as cover for the injured Ritchie Hawkins. Neil Machin had been watching his development back in Australia and persuaded Eric Boocock to give him a chance. There would probably have been a revolt if he'd had to make way for Ritchie on his return to the track but that was neatly averted as Ritchie joined Scunthorpe to replace Adam Allott. Hugh recorded his first paid maximum with 11+1 in the home win against the Rye House Rockets at the end of July. After 6 years during which time Scott has ridden for both Workington and most recently Berwick, Scott has rejoined his home town club as a replacement for the injured Paul Cooper, making his debut at Shielfield Park.